National Public Seating 6218 18" science lab stool features a riveted, chip and crack proof Masonite board seat. Heavy-duty 18 gauge steel tube frame. Welded footrest provides added support. Sturdy 4-leg base with non-marring polypropylene glides. Available in multiple colors. 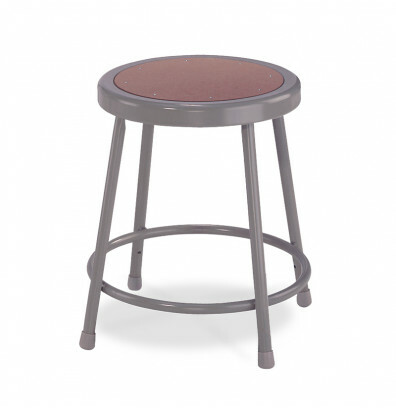 The round Masonite seats are riveted to the steel frame and can't be unscrewed and reattached with a standard screwdriver.